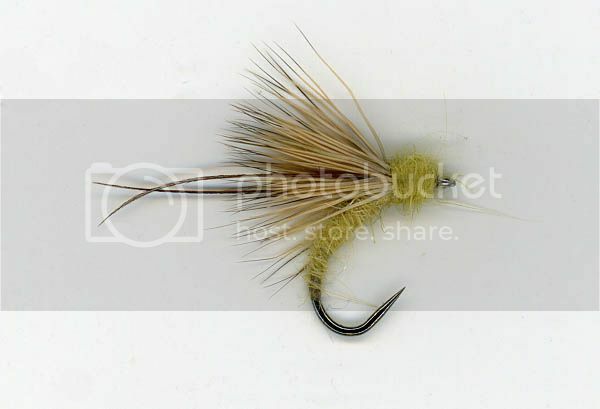 This fly works extremely well on all rivers, streams and lakes but is best fished on North Shore Tributaries. It is fished just as you would any dry fly, but only use dry fly dressing on the wing, doing so makes it ride low on the water with the body just under the water to imitate an emerger. Can also be tied in tan. black, white and chartreuse.